before I start, I just want to say I have not been paid to write this, simply that I was approached and said yes, but I like funny cute things, and I think these are cute! I would also say that these are all my words and photos, except the last two, but that will be obvious! And keep reading, because you could win some lovely stuff! What a weird start, but best to get it out of the way! 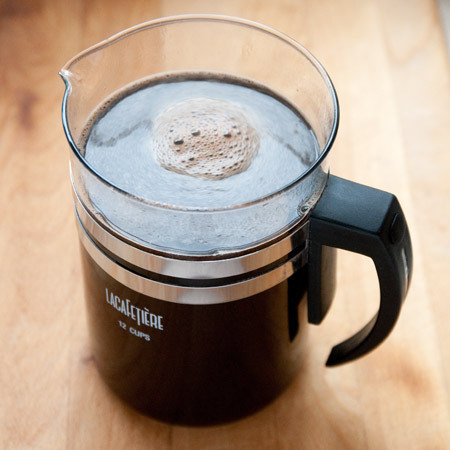 It isn’t as such a new coffee, more about making it more convenient. 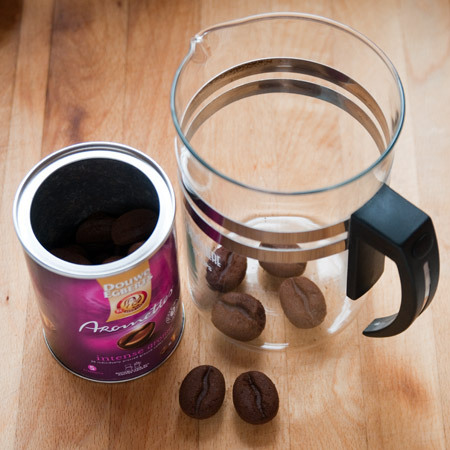 Each mega bean, they call them Aromettes, is the equivalent of one cup, so instead of measuring out loose ground coffee, you pop the right number into a cafetiere or filter machine. So less mess, and measuring is not a worry. We tried them out this morning, the Intense version, and it made a nice cup of coffee, and they broke down immediately and worked as ‘normal’ coffee would. For us I would think they would be most useful for when we go away for the weekend/holiday and we always forget the measuring spoon, or the coffee! I would just take a tub and you’re sorted. They are exclusively available in Tesco from Monday 14th February (how romantic!) and come in smooth (medium) and intense (strong) strengths. The Aromettes come in tubs, which are foil sealed, and have a nice flexible lid to keep the coffee in and airtight. So how to win these and the cute mega beans, sorry Aromettes! Well please leave a comment on below about how and when you like your coffee, that’s all you need to do! I’ll be picking a winner on Thursday 10th February at midday, as normal with these things it is only open to people living in the UK, and just to assure you, none of your details will be passed onto Douwe Egberts, unless you win of course, and fair enough they will need your address for the lovely coffee prizes! And once again, I wasn’t paid to write this, I thought they looked cute! I love my coffee in the morning, just relaxing with the lovely man in my life! Not too strong and with milk. A great start to the day! I seem to drink so much coffee, Milk in first, and to have time to sit with a cup in one hand and a book in the other is total bliss!! I love coffee and can drink it anytime during the day! Milk and one sugar, not too strong but depends on time of the day and if I feel I need a caffeine buzz! Love all the different flavoured coffees aswell! I have a Nescafe Dolce Gusto which I love, a hand me down cafetiere from my mum but that Alessi one is gorgeous! What a wonderful giveaway – fingers crossed! Can’t get enough coffee! The only thing that slows me down is having to grind the coffee beans, so these Aromettes sound like the perfect solution – saving time and mess. I LOVE my coffee strong with a little milk and sugar. Feeling thirsty again …….. ! I’m in the U.S. so I don’t qualify for the drawing BUT I went to their site and enjoyed surfing it. Found out new recipes and new ways to decorate our lattes. The “Aromettes” sound like a great idea. Hope they catch on and make their way here. The gifts are beautiful. Could use a good cup of coffee right now. 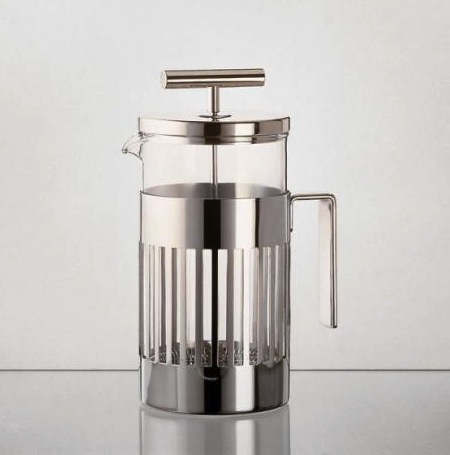 I need at least three cups of good, strong coffee to start me off in the mornings and those ‘beans’ would be absolutely ideal for my single cup cafetière. It can be a bit hit-and-miss with the fresh ground stuff so can’t wait to try these! Love the ritual of my elevenses coffee which i make fresh every morning and drink from my special mug – makes everything seem more civilised. I like my coffee in the morning, strong and definitely no froth of any sort for me!!! These Aromettes sound a great idea – any idea of price??? I like my coffee (black) sitting with my husband on a terrace in the shade but looking at sunshine, and accompanied by a really good praline chocolate. Anything that makes it easier to make really good coffee is a great idea, as we don’t have a terrace and would have to travel somewhere to find one! I love my coffee with lots of buffalo milk and sugar. Naughty but very nice! I drink coffee like it’s going out of fashion, but you just cannot beat that first cup of the morning, it always seems to taste better than at any other time. Thanks for offering such an amazing prize, good luck to everyone that enters to win. That’s a great idea. Clever souls they are. Coffee for me is an indulgence – I’m partial to a nice vanilla latte with extra foam or a gingerbread latte if it’s cold outside. 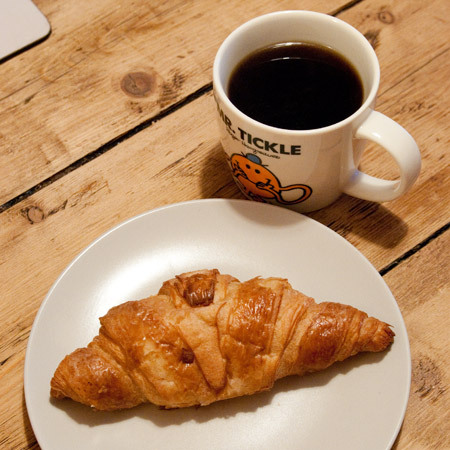 Just looking at that croissant made my mouth water by the way…. it must be time for elevenses! What a fabulous giveaway! I adore coffee and Cath Kidson!! My favourite coffee has to be Ethiopian style, black with loads of sugar and a million spices. I usually just drink instant with milk though! I like my coffee strong with a good milky layer, a nice pain au chocalate and a little bit of Chris Evans to start my day. Or a sunday afternoon, relax by the fire, newspaper and a bit of fruit cake, what more could a man want !!!! What a gorgeous giveaway – thank you. I enjoy a nice cup of coffee at elevenses and another at lunchtime – and that’s it for the day. I’m not a huge coffee drinker but the two cups I have each morning are lovely. My coffee needs to be nice and strong to kick start my mornings! I love coffee…it doesn’t really matter when or where but it must be black and quite strong….this giveaway would make the whole process much more pleasing and would put a large smile on a buzzing, caffeine fuelled, tired all over mum. Without coffee, I doubt I’d function! It wakes me up in the mornings, is delicious mid-morning, follows my lunch, and rounds off dinner. I think my body just thrives on the caffeine. and this would ensure that I did all of the above stylishly! I love my first cup of coffee on arrival at work – it is the start to my hectic day – and then another cup after lunch and then i enjoy my last cup just before i go to bed (decaf). I used to be a big tea drinker but now i have switched to redbush tea and a couple of good cups of coffee a day. Feel much better and healthier since i have switched. A neat little Cafetiere and the lovely Cath Kidson mugs would be right up my ally! I love piping hot, black coffee first thing in the morning. I use small cups so don’t have to dump out any lukewarm bottom. Coffee is an important part of my day. I like my coffee black, strong and frequent! Just thinking about these Aromettes had me breaking off from reading this to go and make a coffee – ahh, that’s better! Ooh Douwe Egberts, my favourite coffee. At home I drink it milky with one sugar, however at work I don’t have anyone to share a bottle of milk with so I have black coffee. It has to be Douwe Egberts for me to drink it black though. It tastes slightly chocolatey, whereas most other coffees just taste burnt when they’re black. I always have cup first thing, then mid-morning, maybe lunchtime and sometimes mid-afternoon if I’m flagging, or I’m cold. My body has a very low tolerance for caffeine so I can’t drink it any later in the day or I won’t sleep at night. My perfect coffee is smooth & strong served about 10:30 on a Sunday morning along with croisants, the paper & an hour of peace & quiet to enjoy it! I like double espresso, strong and black.. I can’t stand coffee with milk or sugar bleurgh! I drink black tea too. So, the quality is important when you are not masking the taste with other things. Having said that I’ll only drink coffee perhaps once a week.. I like my coffee strong, long and black. I like it when I am alone!! My husband loves coffee – he has it while he’s writing. Hot with flavoured syrups in. I reckon even I could make him a decent coffee with these beautiful looking beans! My husband is the coffee drinker in our house ( I drink tea), he likes to make a real coffee on a weekend morning whilst catching up with blogs and stuff. Just the thing for my son, currently serving in Afghanistan. One cup wonders!